Kaya. In Malay it means rich. 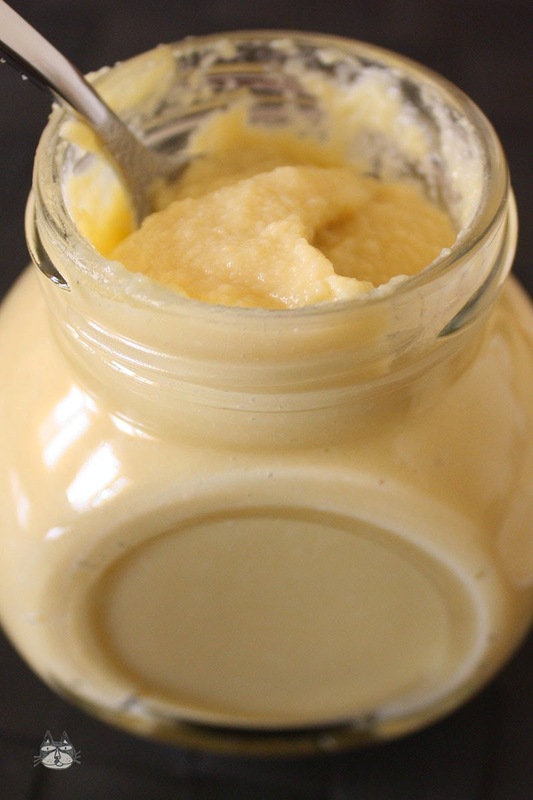 It also describes this custard-like spread that I love. 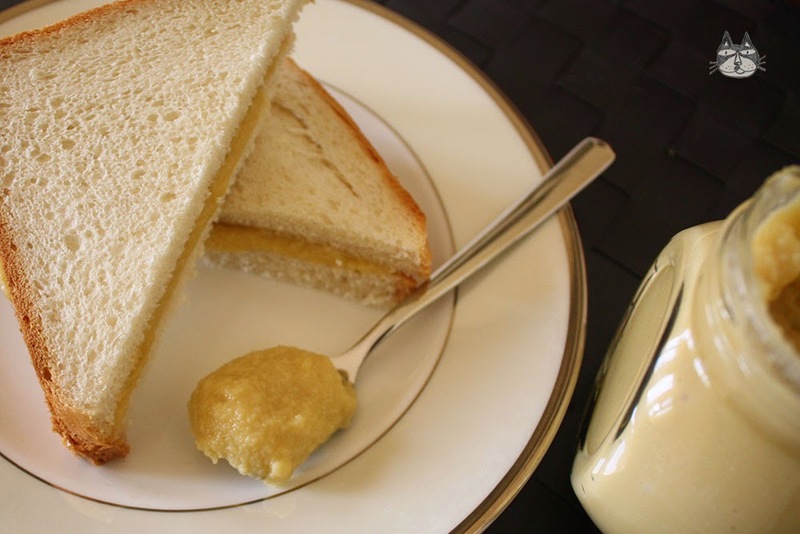 It’s great on bread (especially thick fluffy white bread, toasted) and brioche, and it is even great on ice cream. In Malaysia if you go to Kopitiams, they will serve big thick slices of toasts with Kaya eaten with soft-boiled eggs. 1. 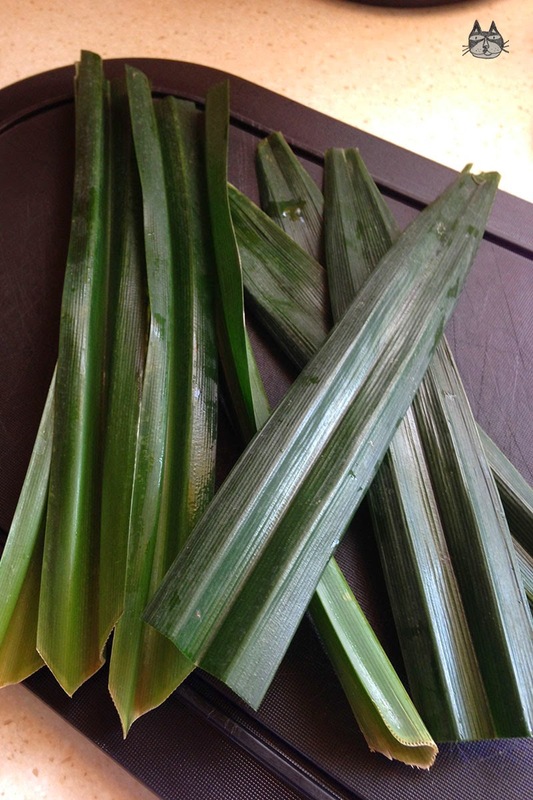 Slice the pandan leaves into small slices. 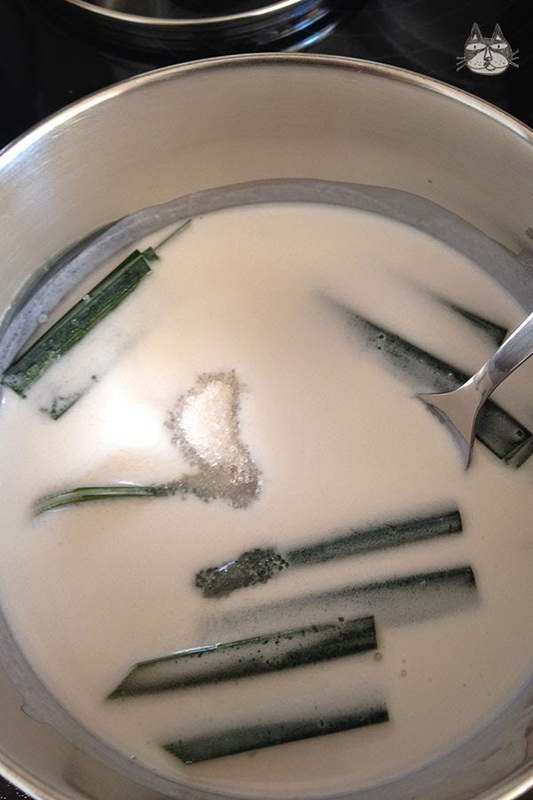 In a pot, on low heat, boil the coconut milk with the white granulated sugar and pandan leaves until only half of the liquid remains (it becomes thick). Stir occasionally to prevent burning or lumps appearing. Your kitchen will start smelling wonderful about now. 2. Leave it to cool. Remove the leaves. 3. Cream the eggs and the brown sugar or gula melaka until it’s a golden creamy mix. 4. Add in the cool scented and thick coconut milk (which should be about 250ml by now) and the coconut cream. Stir to mix thoroughly. 5. Use the double boiler method: In a pot, add water to boil. Balance a bowl on top, making sure it doesn’t touch the water at the bottom. 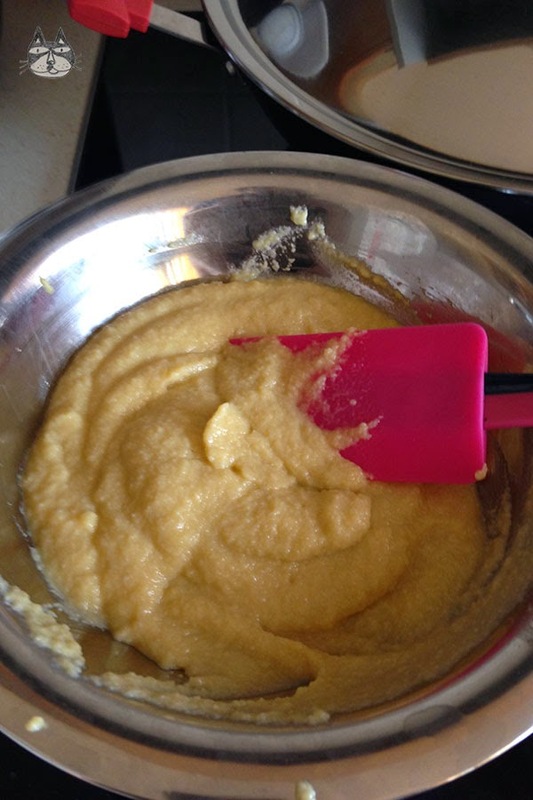 Gently heat up the custard mixture, stirring occasionally until it has turned thick and smooth. It will take quite some time – I would say an hour and a half to 2 hours for this amount of kaya. 6. Leave to cool and store it in jars. It can last for about a month to 7 weeks in the fridge. 7. If you want the kaya to be smoother, you can blend it using a hand blender before storing. 8. Serve it like you would serve jam or marmalade. My version of a Kopitiam breakfast – English Breakfast tea, with a soft-boiled egg (with pepper and soya sauce! 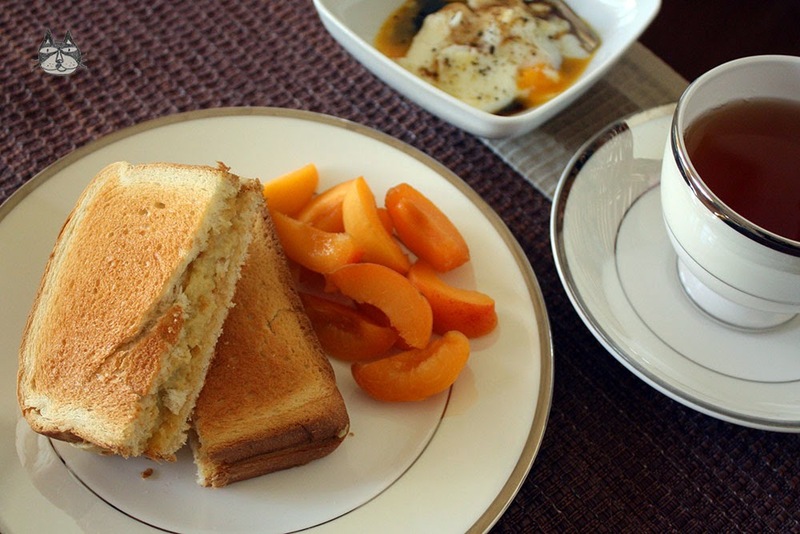 ), some sliced apricots and pandan kaya toasts!